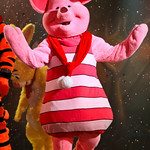 Piglet is the very nervous best friend of Winnie the Pooh, and one of Christopher Robin's stuffed animals from the 100 Acre Wood. 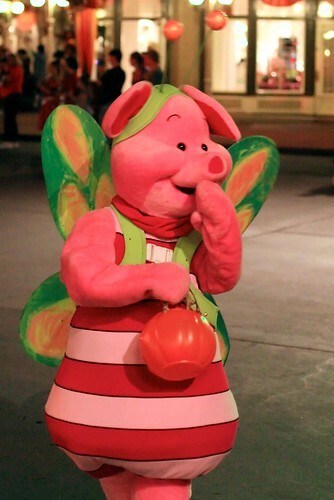 Ever cautious and practically living in fear, Piglet on occasion does prove to be brave. 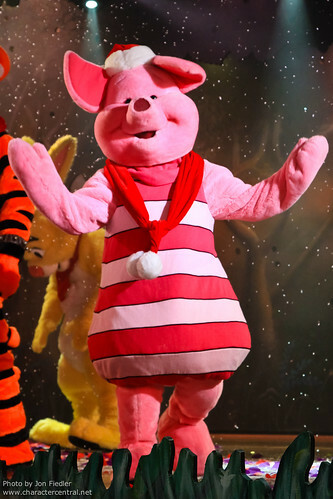 Despite his fears, Piglet is a good friend and is always there for Winnie and the rest of the forest animals. 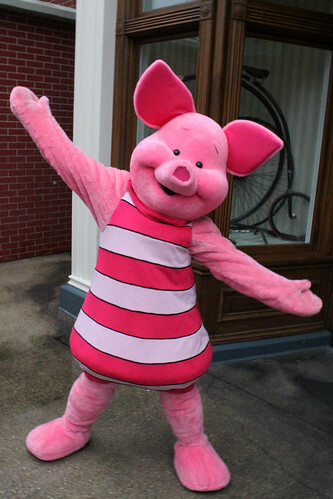 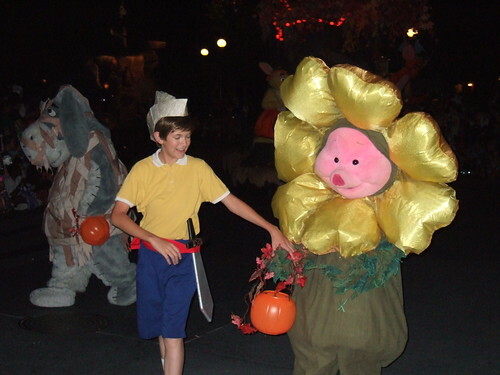 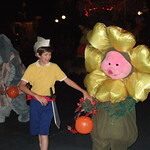 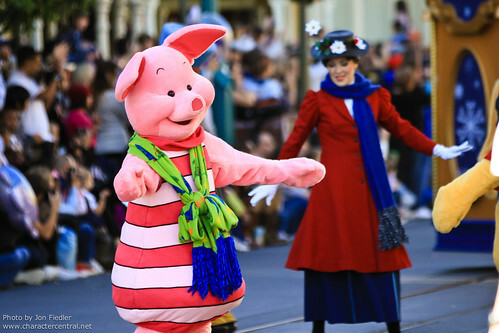 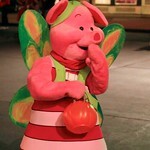 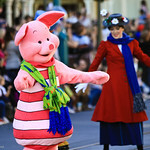 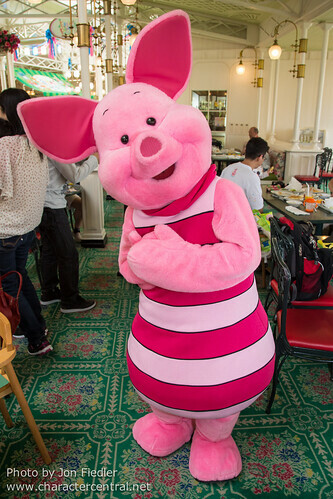 Piglet does not meet in Disneyland, and at the Magic Kingdom can only be met at the Crystal Palace character meal. 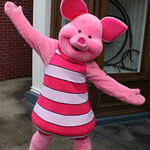 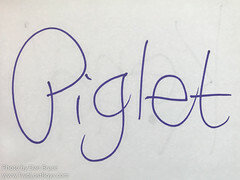 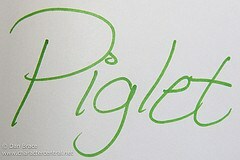 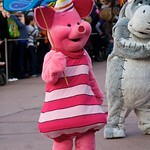 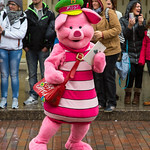 At Disneyland Paris, Piglet used to be frequently out, but a lot less often now. The only place in Tokyo that you can see Piglet is at the Crystal Palace character breakfast, at Tokyo Disneyland. 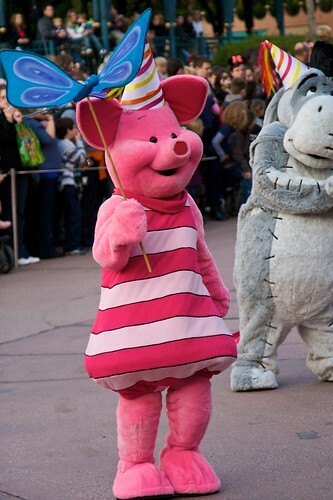 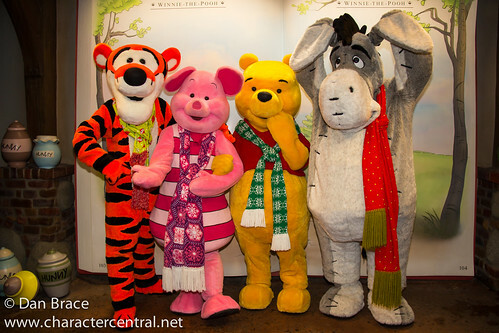 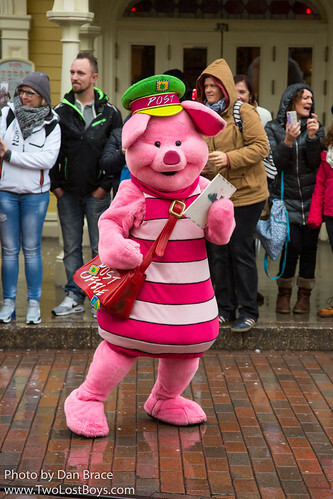 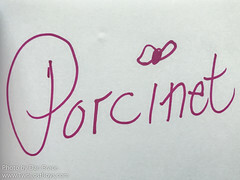 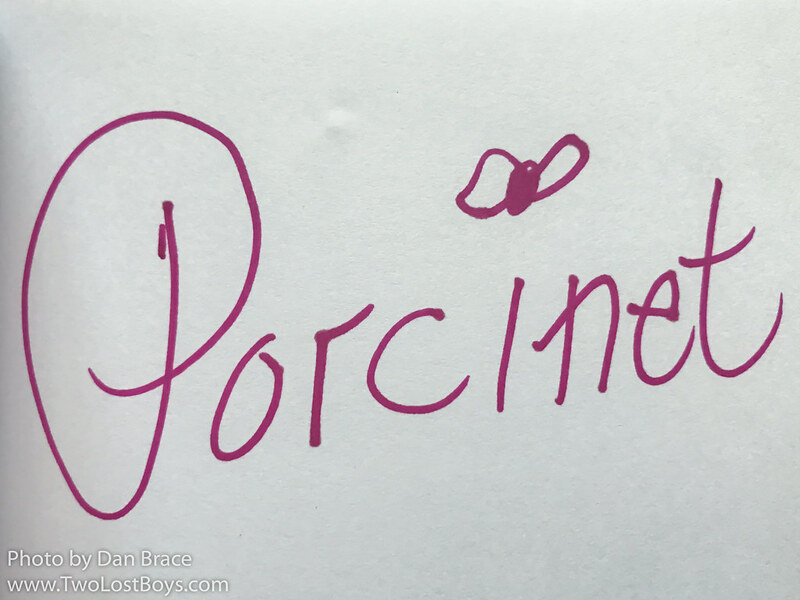 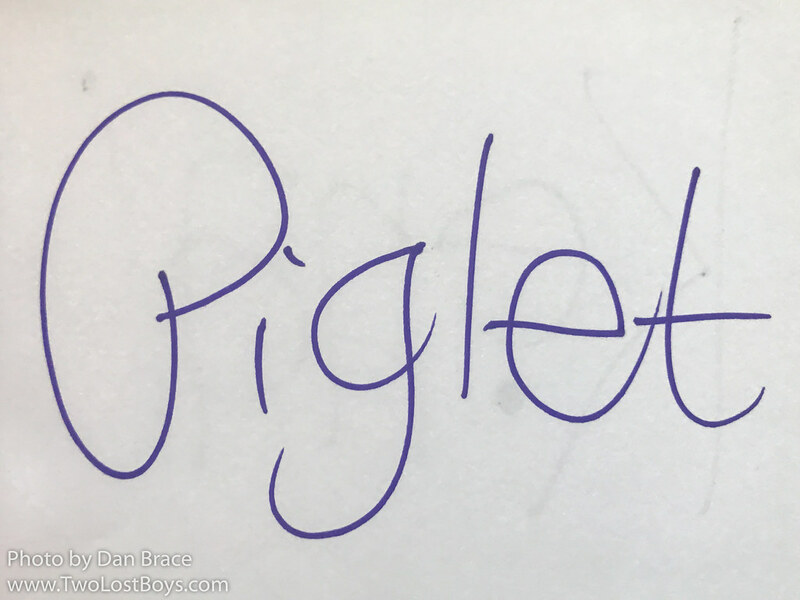 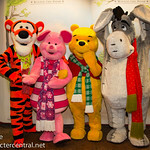 Piglet does not appear in Hong Kong or on the Cruise Line as far as we know.